An Shen Bu Xin Wan (Pian) is made of 100% pure authentic Chinese herbs of highest qualities. Traditional preparation procedures are combined with modern pharmaceutical processes to extract the active ingredients from the herbs and to further concentrate them into pills or tablets. 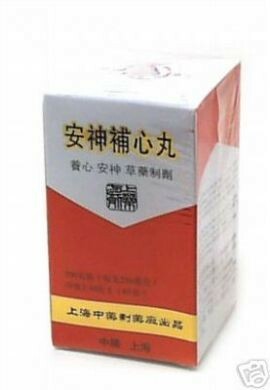 It is produced in the certified GMP facilities of Shanghai TongHanChun Herbs Factory (Guang Ci Tang) and is imported to USA in accordance with the FDA guidelines. Take 5 to 7 tablets or pills three times daily after meals. 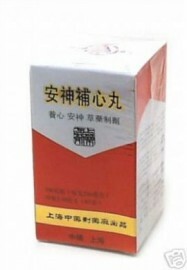 An Shen Bu Xin Wan (Pian) has been safely used with few adverse effects. 1. Not suitable to use if you have fever. 2. Use with caution if you are pregnant. 3. Consult your herbalist or physician before use if you are taking other medicines. 4. Only to be used by children under adult's direction.